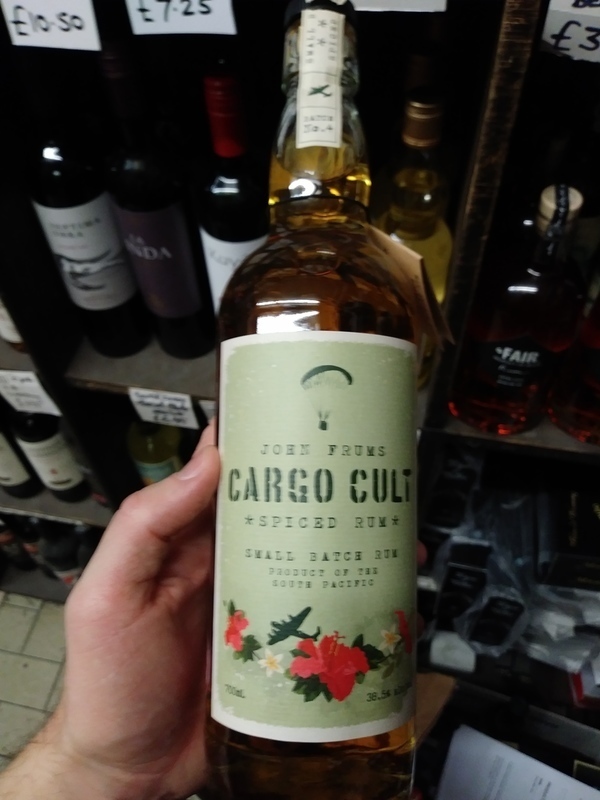 Have you found an online vendor selling Cargo Cult Spiced? Finally a spiced rum without any sugar added!!! Love the clove, cardamom, cinnamon spiced.. so good with ginger beers or just with ice!! Bottle also just looks awesome. My new go to!!! 38.5% .Pours a nice golden colour , aroma's of clove , cinnamon and orange zest above the glass with some vanilla in the background. Subtle spiced rum indeed... this is more Foursquare than Kraken ! No added sugar apparently, which accounts for some dryness but still nicely sweet..
Ok to sip but also makes a good mixer , just don't drown it or the subtle flavours will get lost..
A blend of rums from Papua New Guinea and Fiji put together in Aussie.. Tried a glass of Cargo Cult Spiced rum and all you get is a cinnamon blast. Cinnamon to the nose, more cinnamon to the palate and a very long cinnamon finish. This Oceanian spiced rum is made with rums from Papua New Guinea and Fiji that are blended and spiced in Australia. Nicely presented in a ‘cork’ topped clear bottle with rustic label. This is a clean dry rum that is just about smooth enough to sip (without the afterburn) but also mixes well with e.g. ginger beer. Very heavy vanilla on the nose but a very dry and clean rum. Can taste the clove flavours, tried on its own and also mixed with a little apple juice. Easy dronlong.